One of the major sabhas, Brahma Gana Sabha hosts its annual music festival from Dec. 3 to 31, 2017 this year. The sabha's awards are conferred on the inaugural day. 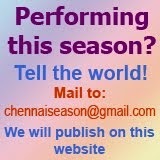 The award Gaana Padhmam will be conferred on the versatile artiste T.V. Gopalakrishnan, Naatya Padhmam on scholar Nandini Ramani, Naataka Padhman on 'Augusto' B.M. 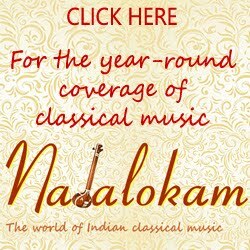 Purushotham, Vaadhya Padhmam on senior violinist M Chandrasekharan.